Have you ever heard the phrase ‘one is none; two is twenty’ ? Well never was that more true than when you have twins. Don’t get me wrong having twins is amazing journey and watching the dynamics of their relationship is nothing short of fascinating, but it does come with unique challenges. 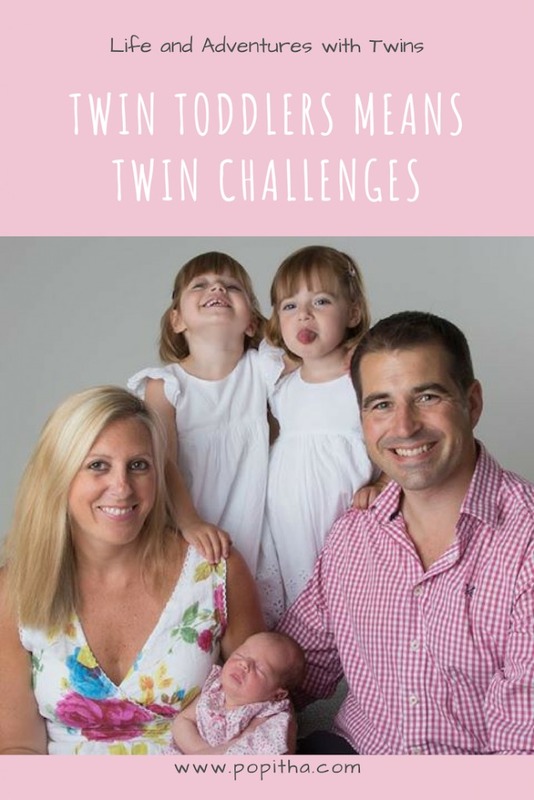 When I was pregnant with the twins I was concerned about how I would manage with four little ones and specific twins related concerns like how would be able to breastfeed two babies. 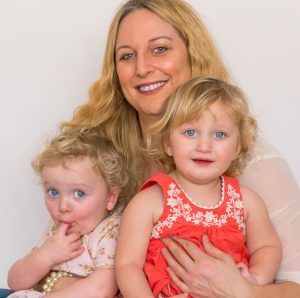 Having already had two children I knew what to expect from the tiredness and so I was a bit terrified at the thought of the lack of sleep that would be caused by having two babies to care for. However, I did not feel any trepidation about what came after having two babies; having two toddlers. I am now realising that this is what I should have been concerned about as twin toddlers mean twin challenges and then some. Now back to two being twenty. 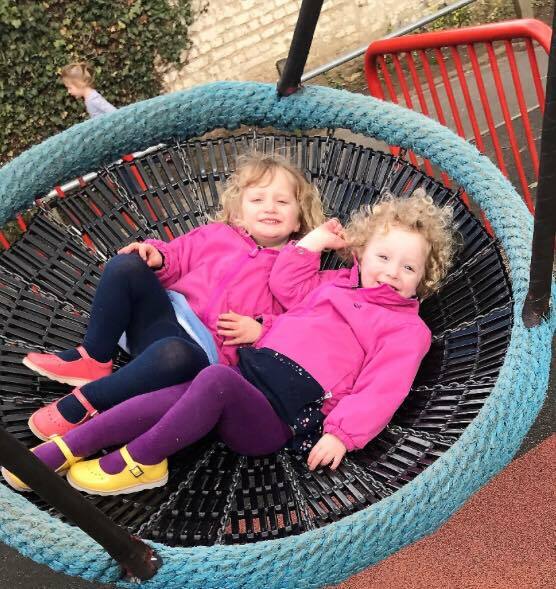 I have found that twins are infinitely more capable of chaos than a singleton or even my two boys who are under two years apart. In case you were wondering having children close together is not the same as having twins as the simple fact of one being older than the other limits the physical capability and they are less inclined to collaborate. I have heard tales of twins as young as two helping one another to open the front door. My own twins are mischievous in the extreme. I could be overly suspicious, but I swear one of the girls distracts me so that the other can achieve whatever that minute’s dastardly goals is. They 100% tag team so that as I stop one of them from smearing sudacream everywhere the other has run behind me and picked up the potty full of wee. These moments of abject chaos make the two of them laugh so much that it is hard to even be annoyed. They find one another so infinitely entertaining and have a bond unlike any other siblings that I know. Their brothers are very close, but the girls (when they aren’t squabbling over who will go on the toilet first) are a distinct unit and worry for one another. This means that sometimes they don’t need me. I am not their entertainments manager as much I needed to be with the boys as they create their own fun. 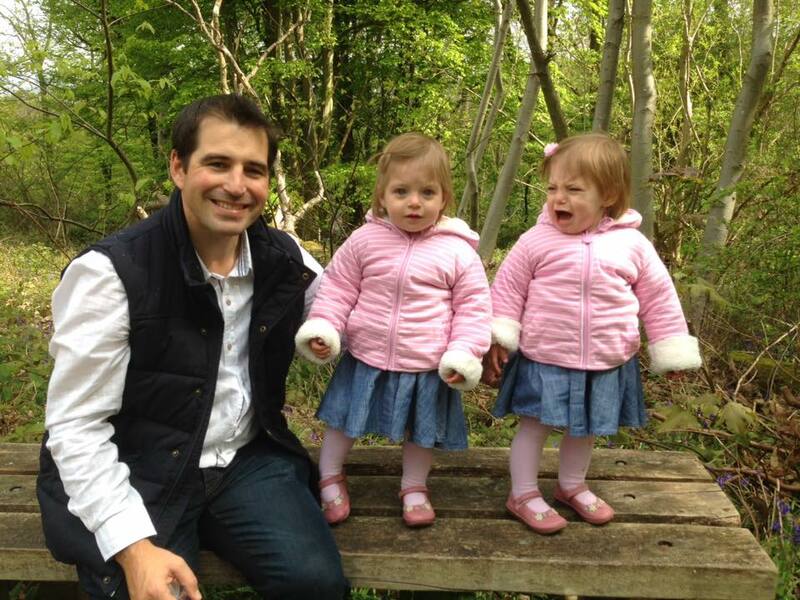 At 6 months old this was just sitting and laughing at one another – like they couldn’t believe there was another baby. I was with them I couldn’t believe it either! Now this might be pretending to be teacher and pupil, jumping on their beds or singing at top volume, but whatever it is they want to do it together. 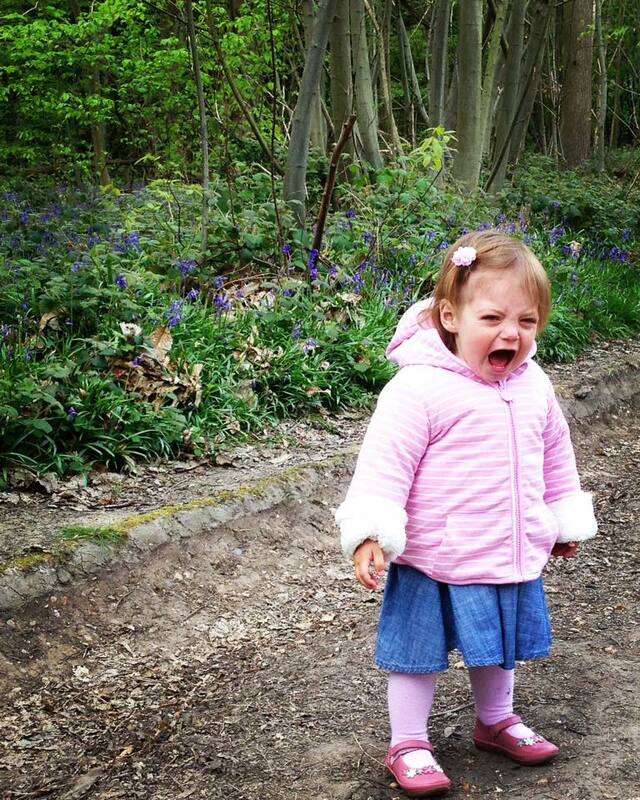 The biggest challenge I have found is handling twin tantrums. The frustration that toddlers feel seems to be exacerbated by having another little person there too. Let’s face it toddlers think that they are the centre of the universe so it must be hard to have to understand at 2 years old that you are in fact only partly the centre of your mummy’s universe. I think this is uniquely related to twins as when you have two siblings of different ages even if one is 2 the other is typically a baby so the 2 year old can still command much of the attention. By the time the littler one is getting to demanding things other than milk and a cuddle or a clean nappy the elder one is starting to come out of the selfish phase and can begin at least to understand why they have to wait for 30 seconds. Not so with twins. They both want everything at the same time. They both want to sit on mummy’s lap, but have mummy’s entire cuddle and not share. They both want to go to the loo (on the same loo) at the same time, they both want mummy to read their book at the same time and so the tantrums begin. I hope that over time this experience will ensure that they become very patient grown-ups, but for now, it means that I deal with lots of squawking and tears about not being first! Make friends at playgroups – I try to go to the same playgroups regularly so that I can make friend there and have someone who I can at least say ‘can you keep an eye on her whilst I take her twin to the loo’. 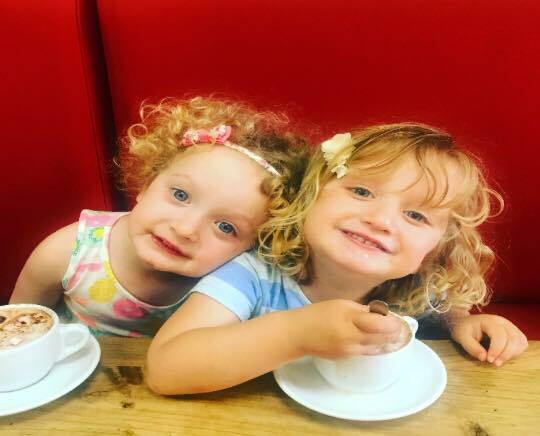 Be aware two can achieve a lot – twins are a force to be reckoned with so never underestimate how much they can achieve as a team. If you think, a toddler couldn’t climb up there or couldn’t open that cupboard then you are probably right, but maybe just maybe two toddlers could… Teamwork makes the dreamwork!